We’ve all seen the Mormon memes. I mean, The Church of Jesus Christ of Latter-Day Saints’ memes where the word “Mormon” has been dropped from things in which we are accustomed to seeing the word, “Mormon.” And you all have to admit, they are a little funny. As I dug around, I found some interesting information. I have edited three talks, two from Russell M. Nelson and one from Gordon B. Hinkley to explore this question. Click on the play button below to listen to the podcast version. I was only able to embed the Youtube video into this podcast. Do any of the speakers make a direct reference to the other speaker’s talk? Do any of the speakers make an indirect reference to the other speaker’s talk, which would perhaps would only be noticed by those with a long institutional memory? There is a history of apostles publicly disagreeing with each other or with the President of the Church. Orson Pratt publicly disagreed with Brigham Young regarding the Adam God Doctrine. B.H. Roberts and John Widstoe publicly disagreed with Joseph Fielding Smith regarding evolution. Then, Elder Hinkley’s October 1990 General conference talk. I was interested in researching this as well. Pres Hinckleys talk does make direct, positive reference to Elder Nelsons talk from the prior conference. I don’t know that there was som big feud, but obviously a difference of opinion. 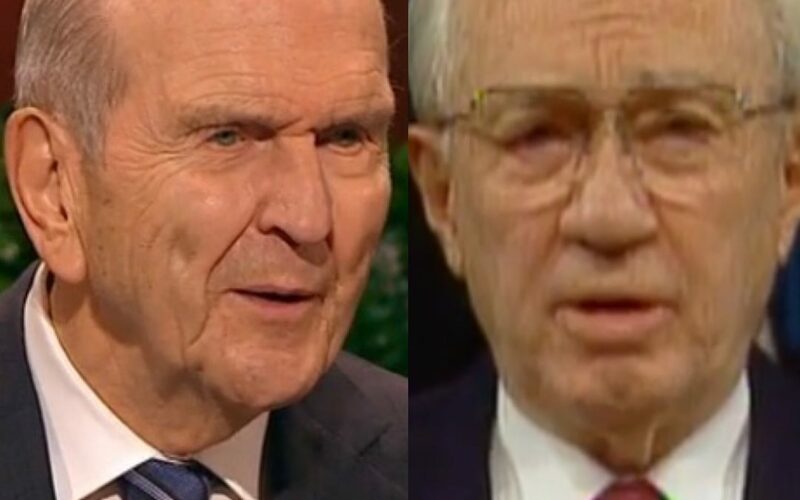 Other apostles have spoken of using the proper name, but I haven’t seen any talks other than from President Hinckley defending the use of Mormon. M. Russell Ballard spoke twice, once (4/2014) making reference to his previous (10/2011) talk, and seemed to fall somewhere in the middle, where the full name was preferred, but Mormon was ok as long as we tried to clarify. Pres Packer spoke of it in April 2011 and there are probably others. This isn’t new. Clearly this has been a burr under RN’s saddle for many years. His thus saith the lord statement now rings false as he now has a position of power. If it’s true, hasn’t this church lost its authority under the false profits between then and now? The echo chamber in SLC is unfortunately alive and well. A victory for Satan? Really? One of reasons I can’t go anymore. Swallowing camels while straining at gnats. There are in fact weightier matters that are ignored due to ego.